Work is well underway on upgrading Port Macquarie Airport thanks to investment from the Nationals in Government. The federal and state governments partnered with the local council on the $7.5 million airport terminal upgrade. 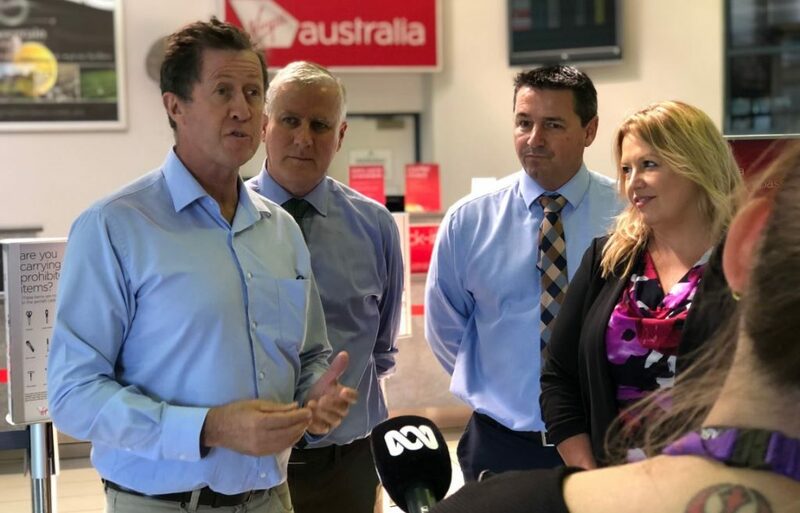 Deputy Prime Minister McCormack joined Member for Cowper Luke Hartsuyker, Port Macquarie Hastings Mayor Peta Pinson, Council General Manager Craig Swift-McNair, and Nationals Candidate for Cowper Patrick Conaghan at the airport to inspect how the works were progresssing. A quarter of a million passengers travel through Port Macquarie Airport each year, making it a major regional destination. And with 46 per cent of international tourists flocking to the regions, it’s critical the Nationals in Government at all levels work together to make sure they have a great experience. Mr Conaghan said the upgrade would be a good thing for the community. Mr McCormack and Mr Hartsuyker also visited the Australian International Aviation College, inspecting a flight simulator.